Lululemon Athletica (NASDAQ:LULU) has been around for 20 years now and continues to find a path for growth. LULU is the very definition of the word “athleisure” which has become a common term for the form-fitting yoga clothes that have become de rigeur for a growing swath of millennial women and soccer moms. While that may be his preference, it’s likely athleisure will continue, and ultimately, given the kind of success the brand continues to have, the terminology won’t matter much to investors. LULU stock is up a whopping 140% in the past 12 months and 82% year to date. And many of the analysts covering the company continue to upgrade the stock as they look to upcoming quarters. 18 of 35 analysts currently call it a buy, compared to 15 of 35 three months ago. Part of this is due to the fact that the consumer is back in the U.S. That means LULU is seeing its regular customer base buying more stuff and its aspiring customer base having enough to splurge on an occasional piece of clothing now. What’s more, it’s also opening up new lines in dance-inspired activewear and new sports bras. There’s also its new line of “Zoned In” tights that are gaining significant critical praise for runners, yogis and couch potatoes alike. And, there’s also talk of expanding the men’s line of lululemon clothing. Remember, these clothes aren’t cheap — sports bras start at around $60 and go up to over $100. And retail for its pants are around $100 or more. But the thing about LULU products seem to be that they’re worth the price. Another bullish sign that’s working in LULU’s favor is the fact that we’re heading into the holiday season. These are ideal gift-giving items that straddle the line between luxury and necessity. While an off-brand pair of tights might not elicit a great deal of enthusiasm as a gift, a pair of high-end lululemon tights will get a totally different reaction from your recipient. A strong economy and a holiday season … the combination is very bullish indeed for premium retailers like LULU. And if there’s anything Lululemon shoppers like, it’s a sale. But this sale is on LULU stock. In the past month, LULU is off about 7.5%, which makes this a good time to step in. Any break in its run is a smart time to accumulate shares. 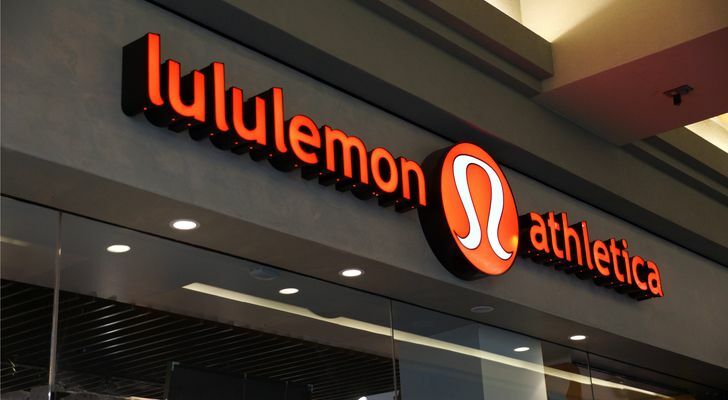 Article printed from InvestorPlace Media, https://investorplace.com/2018/10/lululemon-stock-is-a-strong-buy-right-now/.